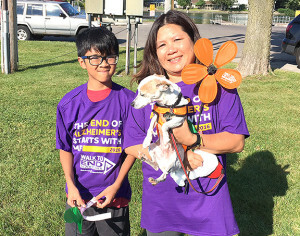 Recently Generations at Neighbors was proud to participate in the Walk to End Alzheimer’s in Rockford, IL. Our facility prepared weeks before by fundraising for the walk by hosting a raffle and special corn boil as well as other various fundraising efforts. We also promoted our fundraising efforts on Facebook and Twitter. The Alzheimer’s Association has sponsored a walk that focuses on raising awareness on the battle of Alzheimer’s and fighting to the end the disease since 1989. Memory Walk® began in 1989 with nine Alzheimer’s Association chapters raising $149,000 from 1,249 participants. In 1993, Memory Walk grew into an event nationwide and raised $4.5 million at 167 locations. In 2015 more than 50,000 teams participated in more than 600 Walks across the country, raising more than $75 million. Our team is among one of the three Generations Healthcare Network’s facilities that has a special Alzheimer’s and Dementia Care Unit that is designed to meet our resident’s needs in a supportive environment. 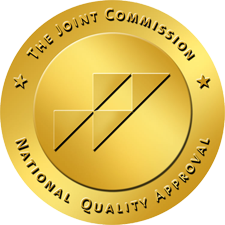 We provide an environment where individuals can maintain an optimal level of independence and quality of life in a secured and safe environment. Pawn and our staff were very excited to prepare and brain storm ideas to fundraise for the Walk for Alzheimer’s as well as participate and encourage others as well. We are happy to report that we raised 93 percent of our goal! The event is the world’s largest event to raise awareness and funds for Alzheimer’s care, support and research. Our facilities cannot wait for next year!